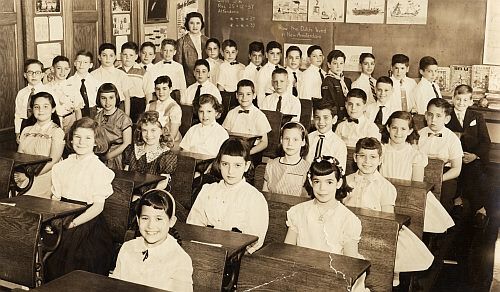 A Picture History of Kew Gardens, NY - Class Pictures - PS99 Grade 3-2 1956. Thanks to Steve Marlowe for identifying the teacher. 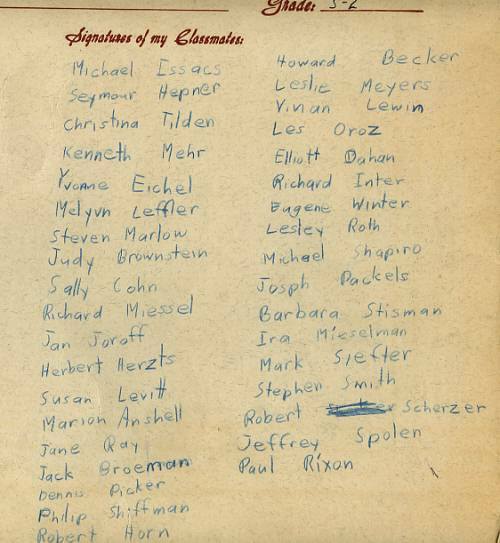 Steve Marlowe, Eugene Winter, Richard Inter, Jack Brockman, Stephen Smith, Dennis Picker, Seymour Hepner, Mrs Shapiro, Michael Grossman, Elliott Dahan, Jan Joroff, Ira Mieselnman, Mark Seifter, Michael Isaacs, Richard Meisel, Howard Becker, Robert Horn, Kenneth Mehr. Yvonne Eichel, Lesley Roth, Barbara Stisman, Philip Schiffman. Christina Tilden, Jane Ray, Marion Anshell, Jeffrey Spollen, Melvin Loeffler. Louise Sandler, Vivian Lewin, Leslie Meyers, Robert Scherzer, Les Oroz, Paul Rixon. Judy Brownstein, Susan Levitt, Sally Cohen, Michael Shapiro, Herbert Hertz.